How callous would you have to be to invent a country just to lure paying settlers there? Especially if you told them it was an idyllic paradise for Europeans when it was nothing more than an Equatorial mangrove swamp that already belonged to someone else. This con man devised a name for the country, and currency too. He even produced a guide book for the poor dupes that sailed to their death. How about the respectable bank who knew that one of their customers was a crook but went along with his crimes just to get their money back? How about a chinless Brtisher and a larger than life Kentuckian who claimed to have found a diamond field in Utah where the diamonds were just laying around on the surface, waiting to be picked up? Or the story of the young churchgoer who told his parishioners they could make a guaranteed 520 per cent return on their investments?These and many more are contained in The Day They Hanged A Banker — and yes, they did hang more than one for messing with other pople’s money. Some of the stories in The Day They Hanged A Banker are amusing, some poignant, but each says quite a lot about the human condition. We were fooled by sub-prime, derivatives and credit default swaps because we had been fooled before, over and over. 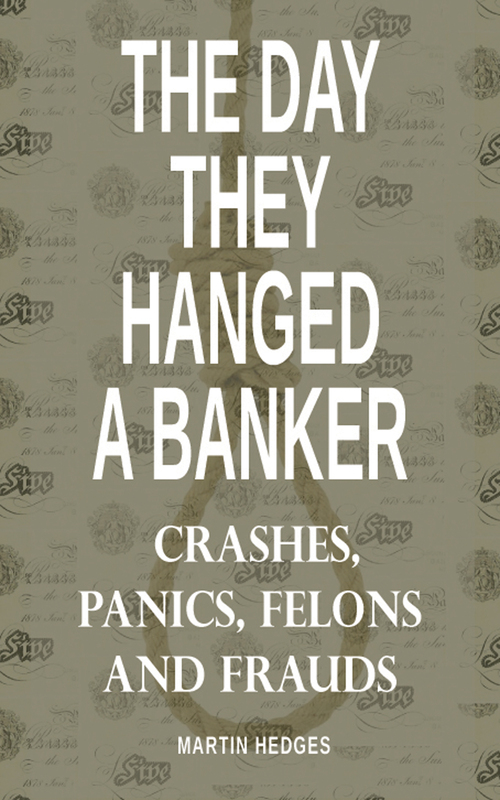 The Day They Hanged A Banker is now available as an e-book from Amazon for the Kindle, Barnes and Noble, Smashwords (all formats) and many other fine distributors. I often think of the Viking estate agent who ‘discovered’ a new country and said to his fellows “no, you don’t want to stay here in Iceland, mate, come to Greenland”.